Since the 19th century, Chinese societies, as latecomers to modernization, have prioritized Western learning. Modelled on European and North American experiences, modern universities were created to serve this purpose. Having little linkage to their indigenous cultural traditions, they operate in Confucian socio-cultural contexts, with constant and longstanding struggles with their cultural identity. In recent decades, these societies have progressed remarkably well in higher education. Their experience could be seen as a cultural experiment that is placed highly on their sustainable development agendas. The products of their modern education systems especially at the elite level have demonstrated a grasp of both traditional and Western knowledge, with their very best universities well positioned to combine Chinese and Western ideas of a university in everyday operation. Such a bi-cultural condition contrasts sharply to the still largely mono-cultural (Western only) university operating environment in the West. The integration opens further space for their universities to explore an alternative to the Western academic model that has long dominated world higher education. 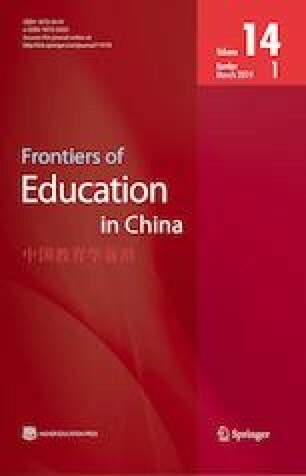 Based on fieldwork at premier universities in Beijing, Hong Kong, Singapore, and Taipei, this article calls for a reconceptualized view of modern university development in Chinese societies. It argues that the experiment enables their top universities to bring back their cultural traditions to integrate with Western values and contribute to inter-civilizational dialogue. This work is part of the General Research Fund project entitled “Integrating Chinese and Western Higher Education Traditions: A Comparative Policy Analysis of the Quest for World-Class Universities in Chinese mainland, Hong Kong, Taiwan and Singapore” (751313H) supported by the Research Grant Council, Hong Kong Special Administrative Region.